According to data from HubSpot's State of Inbound Marketing report, "inbound marketing had a 76 percent likelihood of being the marketing approach of choice for B2B companies," compared to outbound marketing tactics. That's an overwhelming percentage! However, the same report showed that proving marketing ROI is the single biggest challenge that marketers face today. This disconnect suggests it's time for B2B marketers to take a step back and look to inbound marketing fundamentals. That way marketers are setting themselves up for success (and showing their bosses the fruits of their labors). In today's post, we're going to dive into the key elements that make the B2B inbound marketing machines hum. Inbound marketing is the process of helping potential customers find your company, often before they are even in the purchasing stage of the buyer's journey. By creating content that your prospects love, you can build brand awareness and preference. By leveraging content that's relevant to your audience and using targeted CTAs, you can pull this traffic through your marketing funnel and drive new revenue for your business. One of the biggest impacts of inbound marketing—that's often overlooked—is the increased opportunity for customer engagement. By developing content your personas love, you're also educating and engaging your existing customer base. In the age of the marketing flywheel, your existing customers shouldn't be forgotten. By using inbound for repeat engagement, you'll not only grow net-new revenue, but also increase expansion revenue from your existing customer base. Unlike direct tactics such as PPC, it can be hard to calculate your inbound marketing ROI, so it's incredibly important to have clear goals at the start of any inbound program. For B2B companies, especially those with an inside sales team, it's best to calculate your marketing goals by working backward from your revenue goals to determine marketing's responsibilities. Data from Bizible has shown the primary metric for B2B marketing success today is the number of opportunities sourced. So, even if sourcing opportunities is the end goal, it's important to realize that content marketing and SEO take time to build. One of my favorite illustrations of this is from SEO Moz, highlighting the "Gap of Dissapointment." 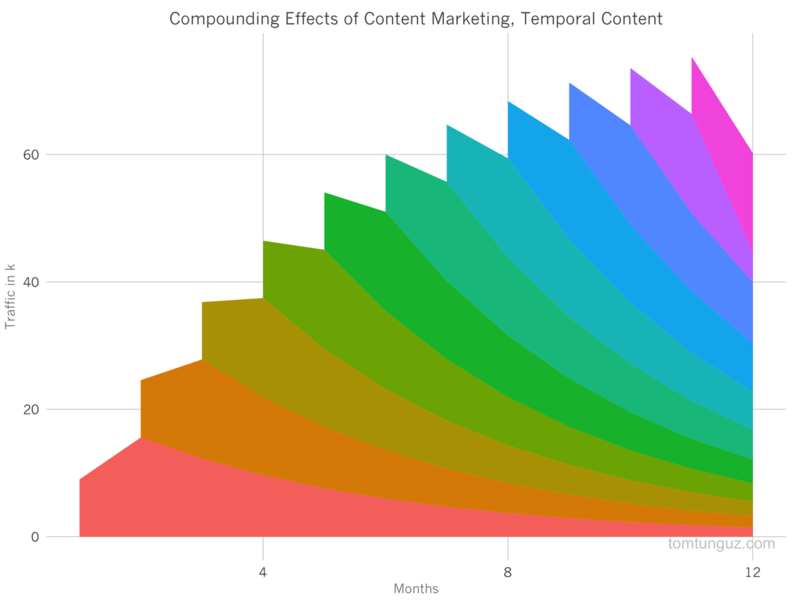 Once you're through that gap, content can provide lasting and compounding returns on your investment in a way that no other marketing channel or tactic can. Market segmentation and buyer persona analysis go hand-in-hand. 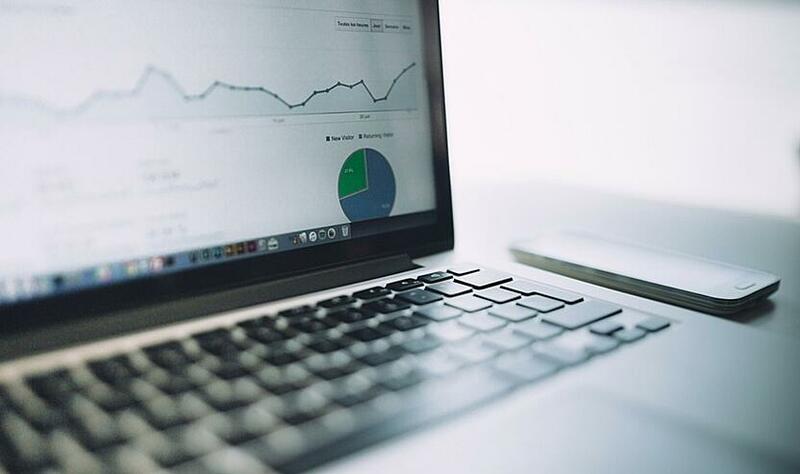 Whether your business is a young startup just getting traction or is an enterprise expanding into new markets, an in-depth understanding of your audience will be the key to your success. This is especially true when success hinges on consistently producing content that addresses your leads' problems and keeps them coming back for more. Based on your buyer persona research, you should have a good idea of the type of content that your buyer personas like to consume. It might be webinars, blog posts, white papers, ebooks, templates or video. The list goes on and on. However, for most B2B marketers, blogging becomes the foundation that attracts potential customers to your site and is the jumping off point to any other content you produce. When it comes to blogging, it all starts with keyword research. This means targeting longer semantic keyword queries rather than highly competitive and specific keywords. These long-tail keywords are perfect for targeting with blog posts and allow you to target very specific keywords to your niche to drive highly qualified traffic. Before you start doing this keyword research yourself, I highly recommend reading Neil Patel's post, on how to uncover hidden gems. The next question we hear all the time is, "How often do I need to publish blog posts?" First and foremost, prioritize quality over quantity. 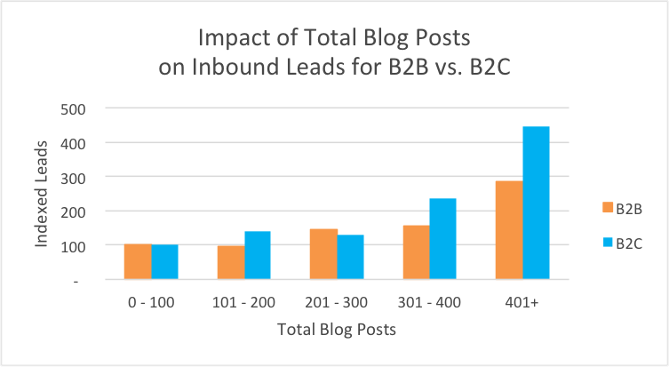 But when it does come to quantity, HubSpot data shows that B2B companies that published posts more than 11 times/month generate 1.75 times as many leads as those blogging 6–10, and 3.75 times more as those blogging 0–3. With this strategy in place, you should be well on your way to creating an inbound marketing machine. In part two, we dive into creating premium content that will help you convert and nurture your audience down the marketing funnel. We also discuss how you can amplify content results with promotion and align your marketing and sales teams.